Wide variety of choices: There are 6 various models that are included in the Doctor’s Choice line of mattresses. This means there are a wide range of firmness choices, mattress designs, and price categories. Track record of positive reviews: There are several positive reviews made by independent testers and satisfied customers for the Doctor’s Choice mattresses. When it comes to customer satisfaction, these mattresses gain higher scores compared to innerspring variants. 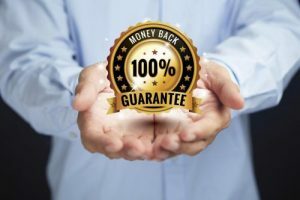 Does not offer free shipping: Denver Mattress will only deliver the Doctor’s Choice mattresses for free for in-store pickup; however, they charge at least $200 for direct home delivery. Complicated sleep trial period: Although the company provides a sleep trial of 365 nights, there are several terms and conditions that customers must follow. First, it is necessary to try the mattress for 30 days prior to returning it. After 120 days, refund is not applicable, but you can gain a prorated credit that is applicable for a different mattress. There are 6 various models of the Doctor’s Choice mattress line, and each comes with Full, Full XL, Queen, King, in Twin, Twin XL, and California King sizes. The table below displays the price range of every model. The Doctor’s Choice mattresses are marketed by Furniture Row, of which there are more than 30 stores all over the country. These mattresses are also available online on the Denver Mattress/Furniture Row site. The Doctor’s Choice mattresses are backed up with a sleep trial of 365 nights. It is required that you use the mattress during the first 30 days before you can return it. After 3 months (days 31-120), you may return the mattress, and the company will give your money back in full. After 4 months, you will get a 75% credit when you return it. After the last 4 months, you will get a 50% credit. 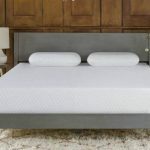 If you are living nearby an authorized Denver Mattress store, you may purchase the product online and have it directly delivered to the store for free. You may pick it up at the store. If you prefer to have it shipped to your home, expect a fee that ranges from $200 to $250, depending upon your location. They also offer a white glove delivery, which includes old mattress hauling, at an extra cost. If you want to know more about the delivery pricing, you may contact your local Denver Mattress or Furniture Row store. The mattresses of Doctor’s Choice are backed up with a non-prorated warranty of 15 years. Within this period, the company can replace or repair defective materials or mattresses with factory defects. The customer should shoulder any transportation or shipping costs related to the warranty claim. Denver Mattress has been in the mattress industry since 1972, and the company gains an A+ rating from the Better Business Bureau. Similar to other veteran and large companies, they can still receive complaints as regards customer service issues; however, these incidents seemed to be relatively isolated. As a whole, they have a great reputation when it comes to customer service. Although these products have simple designs, the Doctor’s Choice mattresses have gained positive customer rating scores and have continually passed all independent testing. Although the Doctor’s Choice mattresses have average body-conforming properties, these products still provide adequate support for almost all types of sleepers. Its flexible innerspring base layer offers a strong base of support and the foam layers on top provide comfort. People who have severe pressure point pain may find this inadequate, but as a whole, it gained higher customer satisfaction rating than other innerspring mattresses when it comes to support. The Doctor’s Choice mattresses usually have a similar or higher lifespan than other innerspring mattress variants. These are expected to last for at least 6 to 8 years or even longer. Most of the foam layers utilized in these variants have a density of 1.8 PCF. 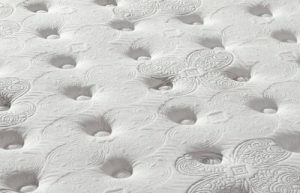 Usually, it is good to choose higher-density foam in the comfort layer; however, the polyfoam used in these mattresses have mostly enough density. There are no prominent weak links in the layers of the mattress, which are expected to give out early. 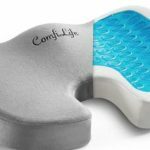 However, sleepers who have more than 230 pounds or have severe pressure point buildup may find that these products deteriorate more quickly, less than the expected lifespan mentioned earlier. When it comes to bounce, innerspring mattresses are obviously bouncy; therefore, this increases the motion transfer level of the mattress. Since the comfort layer and quilted top have less body-conforming capacities, it is expected that you can be disturbed by the movements made by your partner. 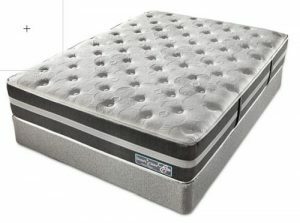 Those who prefer mattresses that can isolate motion effectively must choose a memory foam mattress. Although you can notice a slight smell upon opening and setting up the mattresses, this odor will just dissipate quickly. The materials utilized in the Doctor’s Choice mattresses are those that can minimize heat retention efficiently. Therefore, it is expected that customers will not complain about heat retention issues. Customers who are particular about heat retention should bear in mind that the more plush variants have probably higher heat retention levels than the firm ones. This is because of the fact that those who sleep into a plush mattress will sink deeply, thereby blocking airflow into the body. Because of the innerspring coils that give enough bounce, there are no complaints as regards interfering with sexual activity for the Doctor’s Choices mattresses. The following table displays a comparison of mattresses when it comes to feeling and construction.